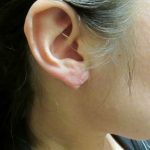 Torn,wrinkled, gauge holes,and enlarged earlobe,we can help! 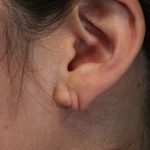 We offer earlobe repair, gauge closures, and reconstruction of the shape of the ears at an affordable price. 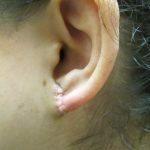 Have a consult and the closure of the earlobe on the same visit. Quality work and the best price in San Antonio. Individual results may vary. 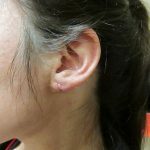 Torn and elongated earlobes are just part of the aging process. 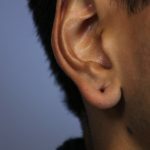 Earlobes, like other areas of the body, they wrinkle,hang too low, and the pierced holes are not where they used to be. You maybe be ready to close the gauge holes.Whatever the reason for torn or stretched out holes give us a call to have them closed and re-positioned. It is time to wear those much loved ear rings again! What is the process to close the "holes"? 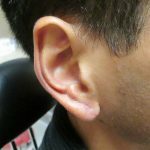 After a free consultation with Dr. Taylor, he will use a local anesthetic to numb the earlobe. The hole is excised and closed using sutures. Some bruising and swelling may occur for a few days. Little pain is experienced during the healing phase. Care must be taken as to not pull or catch the ears on clothing and other objects while the sutures are in place. The sutures are removed in 5-6 days. 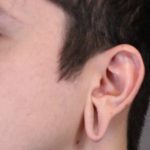 The ears can be re pierced in about 6-8 weeks. 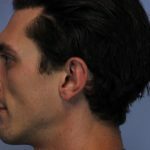 A free consult for large or irregularly shaped ears are also offered. 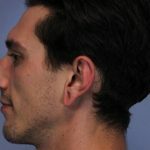 There are procedures that can reduce and re position the ears. 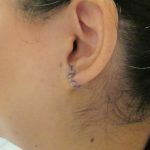 Theses procedures are more complex, but can be done in office under local anesthesia. 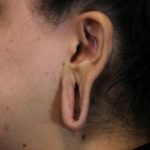 Evaluation of the ears is your first step. Dr.Taylor is a board certified in both plastic surgery and ear,nose, and throat surgery. 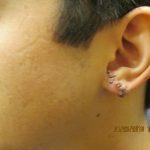 Gauge closure is similar to torn earlobes. 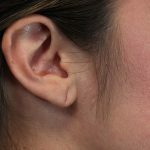 Visit before and after gallery for ear lobe repair. Visit our video gallery to see and hear more.